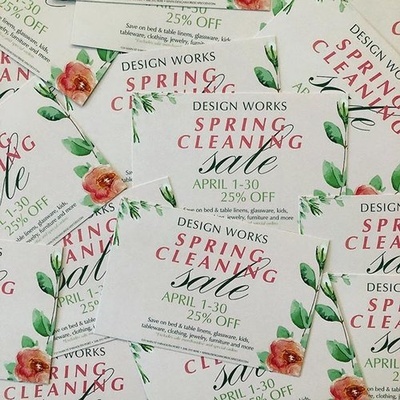 Month long Spring Cleaning Sale where everything in-store (and online) is 25% off. Save on bed and table linens, glassware, kids, tableware, clothing, jewelry, furniture and more. Excludes sale merchandise and special orders.